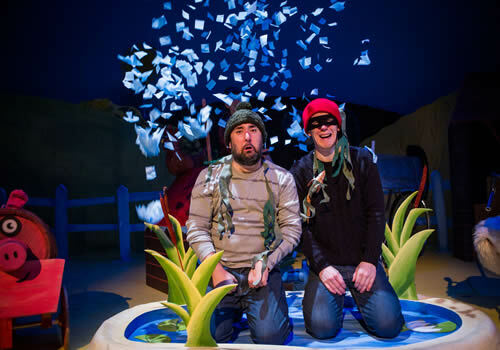 Julia Donaldson and Lydia Monks’ farmyard adventure, What the Ladybird Heard, receives a riotous stage adaptation at London’s Lyric Theatre. Bursting with colour and laughter, the fun new play is a perfect treat for family summer holidays! Based on the beloved children’s picture book, What the Ladybird Heard follows two sneaky robbers and one tiny ladybird on a fun and crafty adventure. Hefty Hugh and Lanky Len have formed a naughty plan to steal the farmer’s best cow. Little do they know that the tiniest creature of all has a plan of her own! Meet a whole farm of furry friends, including the woolly sheep, hairy hog, fat red hen and dainty little dog in this vibrant stage extravaganza. 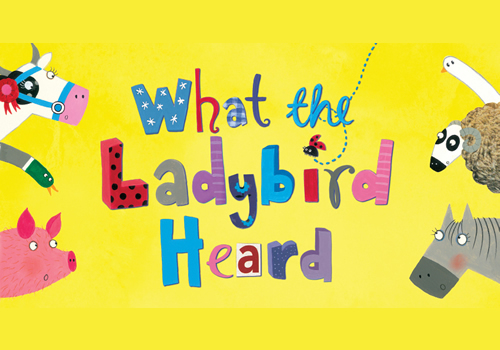 Featuring live, interactive music, gorgeous puppetry and plenty of audience participation to keep tiny theatregoers engaged, What the Ladybird Heard is packed full of treats that are bound to thrill the whole family. Directed by Graham Hubbard, the play features design by Bek Palmer, lighting design by Ric Mountjoy and original music and sound design by Job Fiber and Andy Shaw for JollyGoodTunes. Featuring some of the creative team from the West End’s hit The Gruffalo, also written by Donaldson, What the Ladybird Heard is guaranteed to be a brilliant summer outing. What the Ladybird Heard plays at the Lyric Theatre London for a limited run, from July 5th to September 10th 2017. What the Ladybird Heard is recommended for those aged 3 and up.